Boating on the ocean requires the right craft. 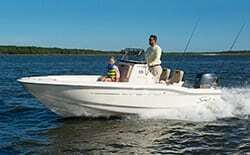 You need a boat that can handle the conditions while also giving you comfort and convenience. You’ll likely spend full days on the vessel, so having technology and comfort it essential. 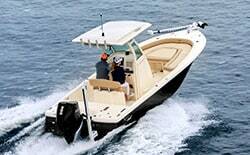 Fortunately, Scout has some of the best ocean boats currently available on the market! 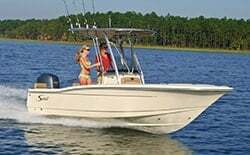 Of all the features you need from an ocean boat, you should first start by making sure you have a craft with enough size for the open waters. 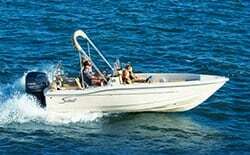 When it comes to open waters, especially for extended trips, you’ll likely want something at least 30 feet in length. 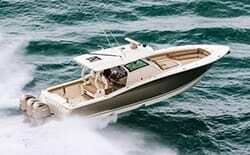 Generally speaking, the larger the boat, the more stable it will be (other factors are at play as well). So, if you need something for open ocean, be sure to select something over 30 feet, preferably 35 or more if possible. You will also need advanced electronics. When you are out on the ocean, the stakes are much higher, as you are miles from shore and help or shelter is not within easy reach. To lower risk, you need advanced navigation, radar, weather reports, and other information to ensure you stay safe and avoid dangerous situations. Finally, you need comfort and convenience. 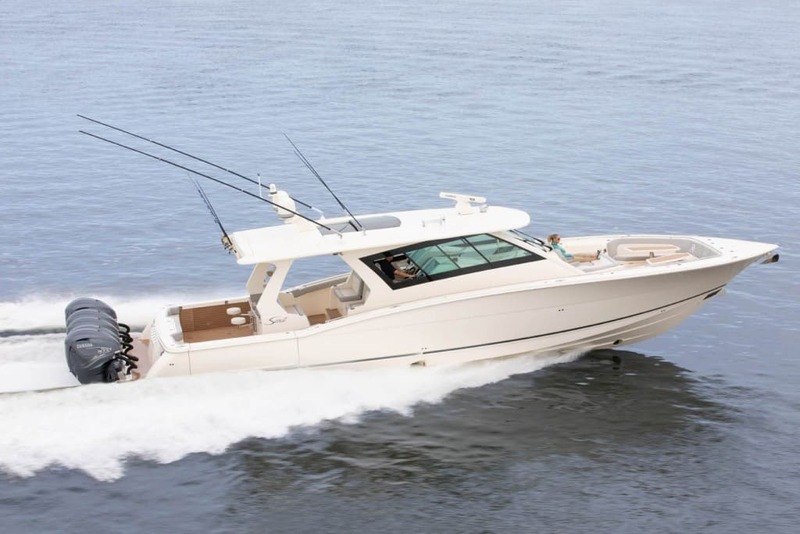 You’ll be on the water for hours, so don’t underestimate the importance of comfortable seating, spacious cabins, and simple conveniences like an eating table and storage. 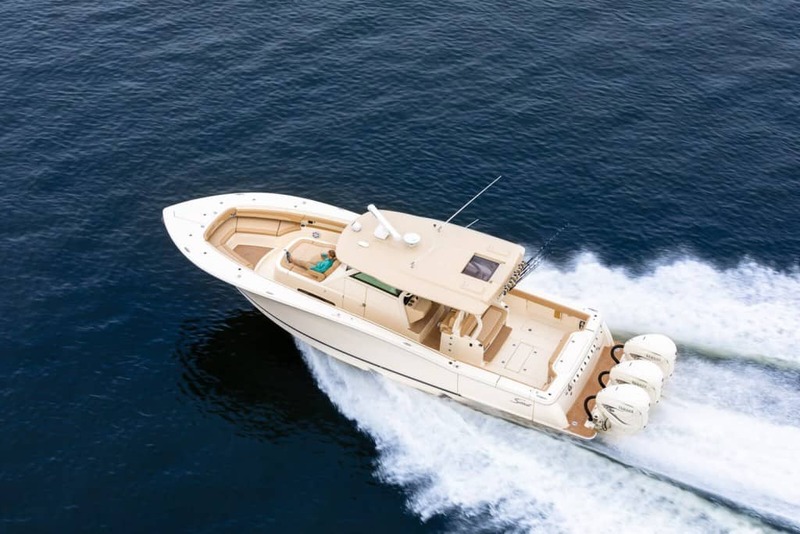 The largest boat currently available from Scout, the 530 LXF, was made for the open ocean. 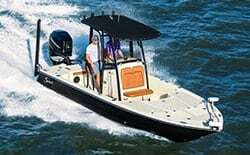 It has insightful Garmin screens that give you clear access to a wide variety of important boating information. The cabin is also loaded with refinements, including two LED televisions, a queen walk-around stateroom, and an electronically-activated dining table. 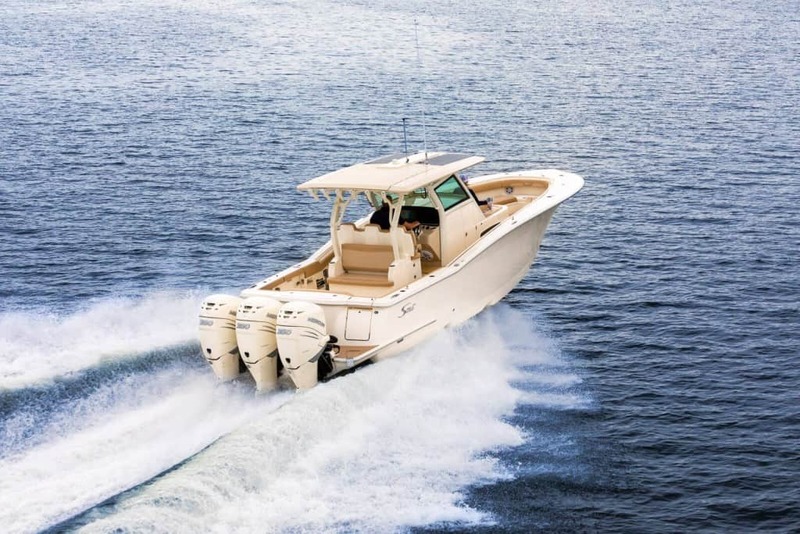 The iconic Scout 420 LXF has the right features for long expeditions on the ocean. 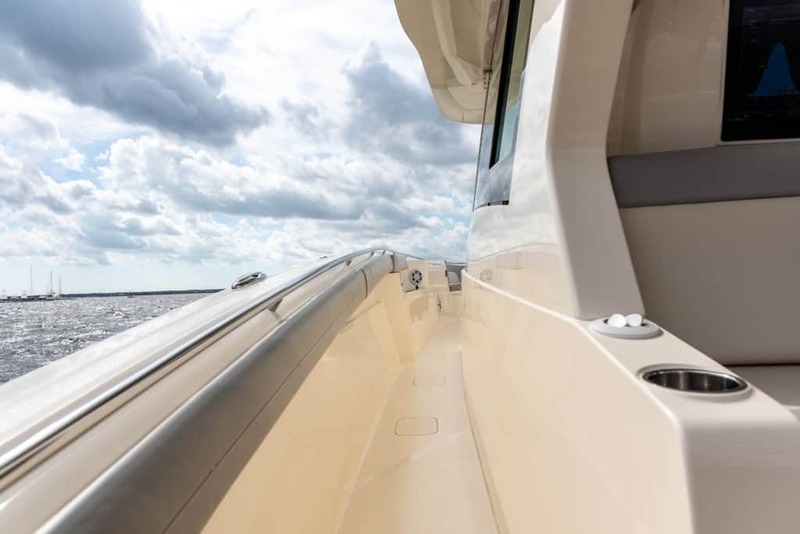 You can take a luxury vacation on this boat and enjoy all the world-class amenities Scout has to offer, including autopilot systems and CZONE digital switching. 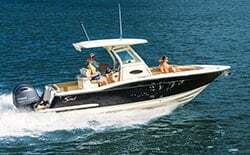 If you want innovations and features when you are on the ocean, choose the 380 LXF, a boat that comes standard with two Garmin screens, Bluetooth capacity, and LED accented lighting. The cabin even has an air conditioner so you can escape the heat, while the advanced hull gives you complete control over this amazing boat. 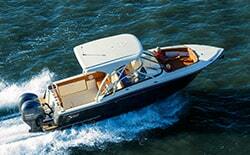 At just over 35 feet, the 355 LXF still has the length you need for smooth, confident boating in open ocean. 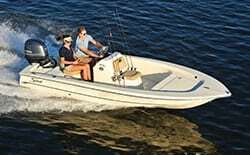 It also has an optional Seakeeper 3DC, which eliminates roll and makes for a more comfortable boating experience. It gives you a standard Garmin 7612 display so you can access the information you need for a safer, connected excursion. You deserve outstanding comfort and luxury when you are on the ocean. 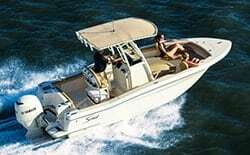 With Scout Boats, you’ll get all the luxuries you want, as well as advanced designs that create smoother, more comfortable boating. Build your scout onlinetoday!